Kareena Kapoor was born to Sindhi-speaking Babita and Punjabi-speaking Randhir Kapoor on September 21, 1977 in Bombay, India. 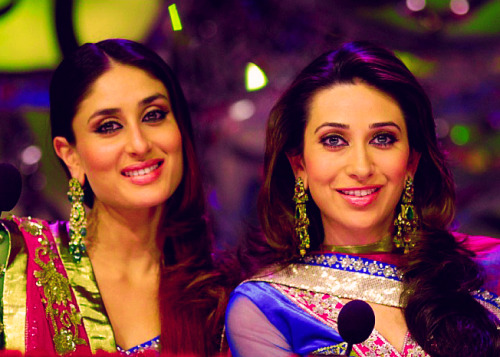 She has an elder sister, Karisma Kapoor. Kareena is born in a family that have been actors for generations, including her paternal great-grandfather, Prithviraj Kapoor; her grandfather, Raj Kapoor; her paternal uncles, Shammi, Shashi, Rishi, and Rajiv; as well as aunt, Neetu Singh, & Jennifer Kendall, the wives of Rishi and Shashi respectively. On her maternal side, her grandfather, Hari Shivdasani, and aunt, Sadhana, have been actors in their own rights. Younger sister of Karisma Kapoor Granddaughter of Raj Kapoor, great-granddaughter of Prithviraj Kapoor and great-great-granddaughter of Dewan Basheswarnath Kapoor. As a child, Kareena Kapoor studied in Jamnabai Narsee School in Juhu, Bombay, and thereafter was enrolled in Dehra Dun's prestigious Welham Girls' Boarding School. Her dad, Randhir is very protective towards his daughters and wanted both of them to keep away from acting, get married, and settle down, as per the Kapoor family tradition. This led to irreconcilable differences between her parents, ultimately leading to a divorce, with both sisters leaving their dad to live with their mom. Kareena Kapoor film debut was in the year 2000 with 'Refugee' along with the debut of Amitabh Bachchan's son, AbhishekBachchan. She went on to appear in many more Hindi movies, and has thus far won four awards for her performances in 'Refugee', 'Chameli', 'Dev', and 'Omkara'. Kareena is today one of the most sought-after actresses in Bollywood. Kareena Kapoor won her first Filmfare Best Actress Award in the year 2008 for the film 'Jab We Met'. She dated actor Shahid Kapur for three years but had a break up. Currently actress is seeing actor Saif Ali Khan. However 2004 turned out to be a turning point in her career in terms of qualitative performance. The critical success of the 2004 film Chameli, where she played the role of a prostitute made critics take notice of her once again and earned her the Filmfare Special Performance Award. She gained critical acclaim for her de-glamorized role in the critically acclaimed film Dev, for which she won the Filmfare Critics Award for Best Performance. "I am as starved as the audiences are and I am looking forward to having doughnuts and pop corn while watching a movie. I am excited to watch all the movies. People are dying to go to the cinema halls. Actually so much loss has incurred during this last 1 and half month. The film fraternity is in a crisis. I pray and wish that all films do well"
Life is full of happiness and tears, be strong and have faith. If I found out that my man is unfaithful, there'd be no tears, no shor-sharaba, I'd just slaughter him. Men are gutless. Why can't they own up to the women they love? I am a hell raiser. I do my own thing. And I believe what I do is the right thing. I wouldn't be able to turn a blind eye to my husband activities like other star wives. I will be screaming down this throat, demanding an account of every minute of his. So you see an actor won't be good for my peace of mind. The most shocking part of the articles linking me with Hrithik Roshan was the insinuation that I was willing to give up my career to run after him. Please! Not for a man, never. My co-stars call me selfish. They say you are only interested in yourself and what you are only interested is yourself and what you are doing in front of the camera. I reply, I can't help it; it's what got me where I am. The one thing I like being in a relationship is that we get to share things. Our experiences about life, comparing notes about things that have happened to us. Then you get companionship, which is great. You laugh, you talk, you fight. There's a mazaa in that. I like everything about being in a relationship. I like feeling secure. I like the companionship, making the other person happy. And if you're in a good relationship, there's nothing you don't like about it. 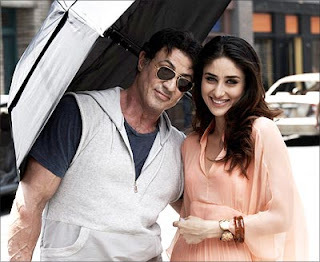 Kareena was dating actor Shahid Kapoor, the son of veteran actor Pankaj Kapoor. 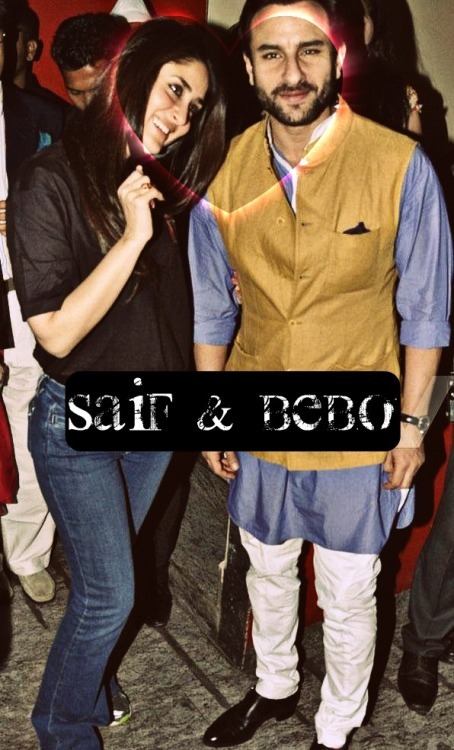 now she is with saif ali khan. In 2005, Kareena was in the news when onlookers with mobile phone cameras filmed her kissing her boyfriend Shahid Kapoor and released it to the news. She was the brand ambassador of products like Pepsi, ICI Paints, Citizen Watches,globus, Laboratories Garnier's Nutrisse Brand, and Lux. the ultimate Kareena was seen as a size zero figure in 3 Idiots and Milenga Milenge. Her weight is now an incredible 48 Kg. Her delectable body in some very attractive dresses is a treat to watch in movies these days. You sit gaping at her in the new Sony Viao ad, catwalking her way into your heart and, before you know it, out of the frame! Her trainer, Rujuta Diwekar, is an expert hand at molding celebrities. 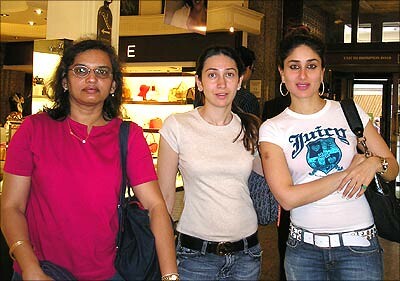 She has done wonders for Kareena. 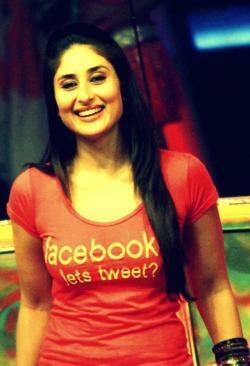 Kareena, of course, comes from Punjabi stock and Punjabis are no small eaters. It tells something about Kareena's will power that she has stuck to her dietary regime chalked out by expert dietitians, nutritionists and of course her fitness trainer. She may be the princess of your dreams but she eats a frugal meal fit only for lowly commoners each time she eats. This was not only to feel good but it was professional requirement to boot. Khambakth Ishq had to have a chic girl and that is what Kareena became. Rujuta altered Kareena's diet to be divided into small quantities and to them 6 or 7 times a day. And, no stuff that could spell disaster like icereams and meat dishes. Exercise has a very important place in bebo's daily routine, as is only to be expected. Her Yoga practice lasts 2 hours every day.